Baltimores preeminent penthouse residence. 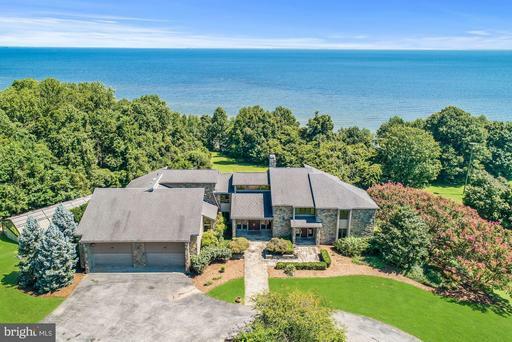 Former home of author tom cla ncy, this 12000 sq ft home boasts unsurpassed views of Baltimores Inner Harbor, a floorpan comprised of expansive, open entertainment spaces, private retreats, a State of the Art private theater, private gym, offices, and six terraces. 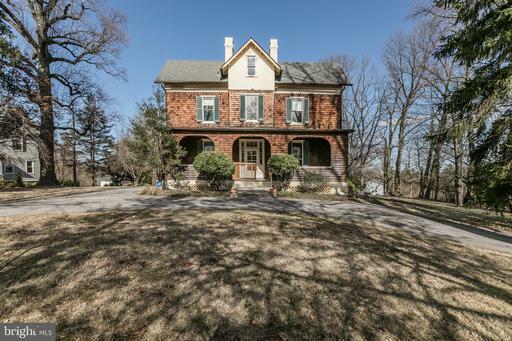 This is a rare opportunity to own Baltimores finest residential masterpiece. This listing is for all 12 townhome units and 2 commercial spaces! Perfect investment opportunity! Great cash flow, ALL UNITS CURRENTLY LEASED. TURN KEY.Property built in 2008, well maintained. Each townhome has 2 private parking spaces. Condo regime in place if a conversion is desired. Close to Loyola. Rent rolls and PLs available upon request. BOATERS PARADISE !! Large waterfront home on over 2 acres on the Magothy River. FOURTEEN FOOT water depth at end of pier. Commercial grade pier with two slips and lifts - One will hold 60 ft at 80,000 lb / the other 40 ft at 60,000 lbs. Surrounded by agricultural and preserved properties. VERY PRIVATE. 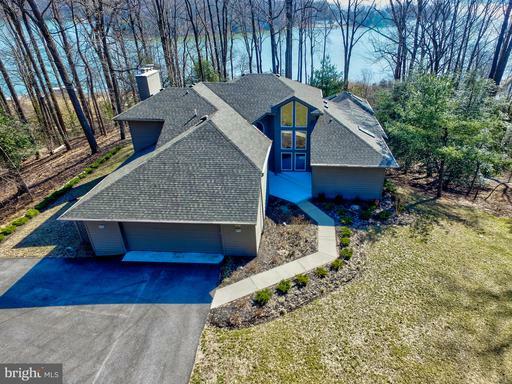 With over 5000 sq ft on three levels - this home has a fantastic wide open floorplan designed to take advantage of the spectacular water views from nearly every room. Tremendously solid construction. This is the perfect waterfront for anyone who enjoys boating or simply enjoying the relaxed waterfront lifestyle. Covered screened Porch/Meditation/Yoga Room off master bedroom .. enormous Master Bath with separate shower and soaking tub. Numerous decks and plentiful built-ins throughout. Move in ready - or add your own personal touches. Two car garage parking, storage shed, "dog house", and Screened gazebo and sun deck located on the pier. This is what waterfront living is supposed to look like. 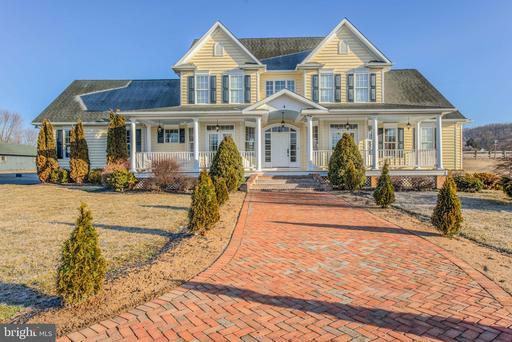 STUNNING 6 BED/7.5 BATH ALL BRICK CUSTOM COLONIAL ON 7.5+ ACRES. FEATURES INCLUDE; MARBLE FLOOR 2 STORY COYER WITH GRAND CURVED STAIRCASE, GOURMET KITCHEN WITH TOP STAINLESS STEEL APPLIANCES, SITTING ROOM GAS FIREPLACE. MASTER SUITE WITH SPA BATH SITTING ROOM AND HUGE WALK IN CLOSET. IN LAW SUITE WITH SEPERATE ENTRANCE, HEATED IN GROUND POOL, EXTENSIVE HARDSCAPING/LANDSCAPING. 4 STALL HORSE BARN WHICH CAN BE CONVERTED TO SEPERATE APARTMENT, 3 FENCED PADDOCKS, TRAILS FOR RIDING AND PROTECTED VIEWS. THIS BEAUTIFUL CUSTOM HOME HAS SO MUCH TO OFFER AND SUCH A GREAT VALUE. THE VIEWS ARE A MUST SEE! Exquisitely executed custom home built with luxurious finishes and thoughtful attention to detail. 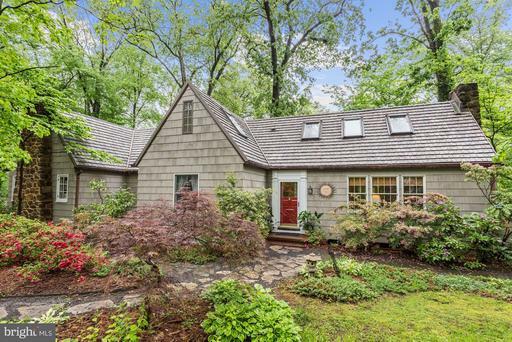 This warm and sophisticated home is "move in ready ." ***Bluestone pathways and a porch front welcome you home. The open concept living areas flow together with ease, yet there are many nooks and crannies for privacy and quiet. The hardwood floors, crown molding, tray, coffered and vaulted ceilings with recessed lighting all add to the ambiance of this home. *** The first floor office has built in shelving and windows to the front and side yard. *** Cozy up to the stone gas fireplace in the family room while the chefs kitchen prepares a feast using the Jennair gas cooktop, dual ovens, and massive granite island that seats 7. ***The breakfast area has table space and an additional bar for three. *** There is a shelved walk in pantry, a planning office with built in desk and a mudroom outfitted with cubbies. *** The first floor also features a complete guest suite, a powder room, and side door to the covered porch. ***The second level has hardwood halls, linen closet, a large laundry room with closets and hanging space, and four large bedrooms. the Master bedroom has windows to the rear,tray ceiling,moldings and a large walk in closet. the Master bath is surrounded in granite, as is the twin vanity. Fluted privacy glass on the shower and a separate WC add to the comforts. ***Two of the bedrooms have an additional alcove nook sitting area, built in bookcases, and a walk in closet. The bright front bedroom features a closet system and is currently being used as a craft room. ***There is a lovely area to lounge upstairs in an additional common area. *** The lower level is completely finished as one open L shaped space with a full bath. There are two massive closet storage rooms, and a double wide walk up to the rear patio. *** Entertain on the stone patio with sitting walls and firepit for those chilly evenings or for smores in the summer. This house will not disappoint, it is a joy! 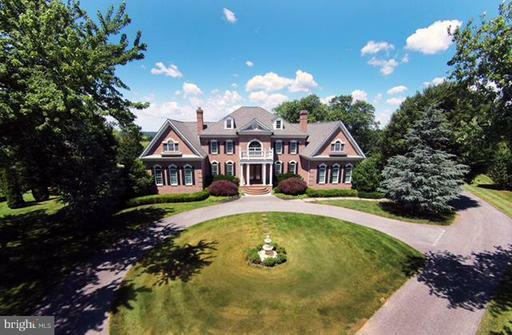 Stunningly Elegant Victorian Estate On 10 Private Acres. Home Boasts A Complete High End Renovation, Yet Maintains The Perfect Blend Of Original Character Sophisticated Charm. 7 Bedrooms, 5 1/2 Baths Over 4 Levels including 2 Master Suites Gourmet Kitchen. Picturesque Panoramic Views Of The Surrounding Countryside. 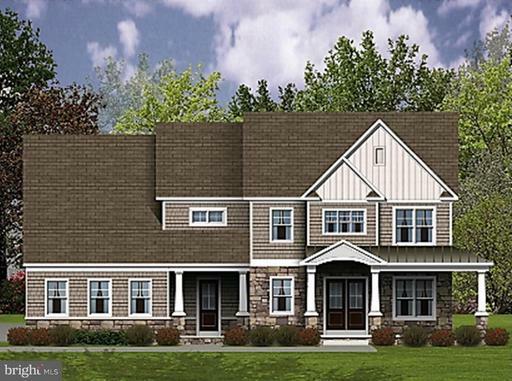 Amenities Galore With In-Ground Pool, Pergola, Screened Porch 3 Car Garage Much More. Live In Peaceful Luxury! 3150 sq ft TWO STORY PENTHOUSE RESIDENCE. 3 Bedrooms / 3.5 Baths. Unit is both 2707 and 2807. 12 ft ceilings on each floor .. 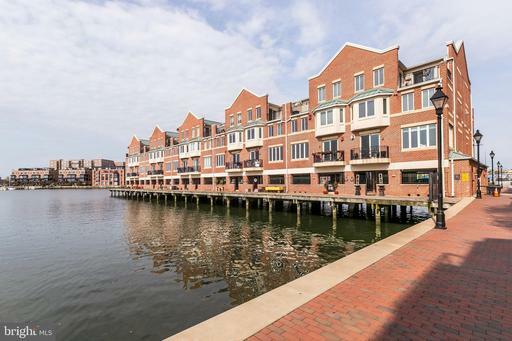 HUGE windows leading to indescribable views of The Inner Harbor, city skyline and Federal Hill. Inlaid hardwood floors are incredible. REAL wood burning fireplace. Extensive millwork throughout. High-end everything! Must see to appreciate. Only 1 other residence on floor - VERY private. 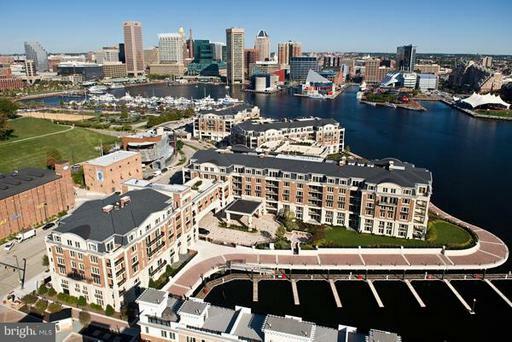 The Towers at Harbor Court is one of Baltimore~s most luxurious and amenity rich condominium developments. With 24/7 front desk coverage, uniformed doorman, porters, security and maintenance staff, secure parking and additional storage, The Towers at Harbor Court feels like a 365 day a year vacation. 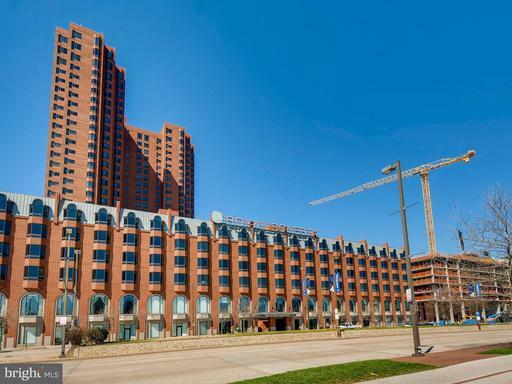 The Inner Harbor location also includes hotel services offered by the attached Royal Sonesta Hotel. These include concierge services, fitness center and spa discounts, room and meal discounts, and the convenience of on-site restaurants, coffee shop and guest accommodations. All of this without every having to leave the building If youre looking for ease of living in a quality amenity rich environment - youve found it at The towers at Harbor Court. Immaculate beautiful home with an open floor plan. Home is filled with natural light and tons of amenities plus privacy! Carrera marble Kitchen baths throughout! 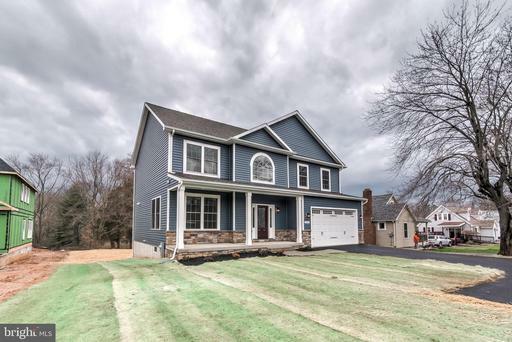 First floor Library, Family Room with fireplace, gorgeous Kitchen, Master Suite with marble bath and fully finished Lower Level with fireplace, Wet Bar, Play Center Bonus Room! Home also offers a large deck and rear yard. 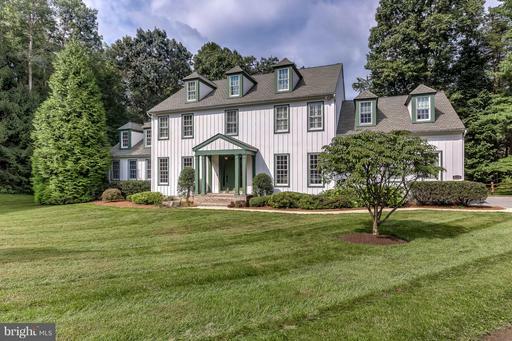 Country living but just off the 83 and York Road for ease of travel, this large colonial sits on 1.5 acres. Natural light hits all around this home and is combined with great outdoor spaces to include the front porch at main entrance, the bricked patio in the back off the French doors, and the side patio with fire pit off the basement French door. This well sought out home has a main level master suite that tucks out of the way to the right of the home. Vaulted ceilings and an open floor plan make this home great for entertaining. Upstairs has 3 additional bedrooms, 2 full baths, and an extra living space, prefect for children~s play. The completely finished basement is decked out with a full bar. Plenty of finished space. The pool table, high tops, and bar stools can convey with the right contract. The basement also has a large bedroom and beautiful full bath. The property also has 2 large barns that will convey. 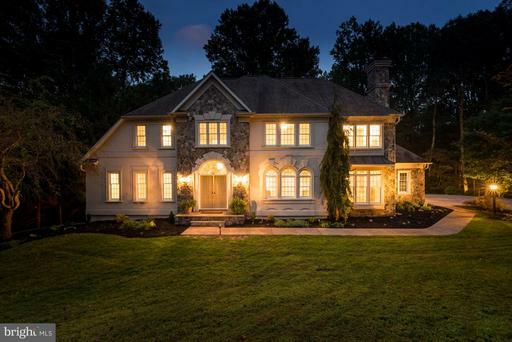 Elegant all brick Georgian home in Guilford with nearly 7,000 finished sq ft. Expansive rooms perfect for entertaining. Gracious and inviting center hall with restored low-rise staircase. Formal Living Room has wood burning fireplace, classic columns, built-in bookcases French doors to Sunroom. Formal Dining Room also has wood burning Fireplace French doors to Family Room. Large Kitchen with island, stainless steel appliances and access to 2nd staircase. Huge Master Bedroom with Fireplace vintage custom closets with access to balcony. Three additional large Bedrooms on 2nd level. Third floor with 3 bedrooms, full bath Study. Detached 2-car Garage. This home has been meticulously restored to capture and preserve the design by Laurence Hall Fowler. Once in a lifetime opportunity to own a piece of Baltimore History. The Hutzler Mansion built in 1887 was once owned by the prestigious Baltimore department store family, Hutzlers. The home boasts 8,240 square feet of living space and 3246 below ground. The home is a grand example of the lavish Victorian design of the day. Sumptuous details include Stained Glass, Tile Floors, Ornate Woodwork, Opulent Mantels, Grand Staircases and a modern Elevator of the time. This is and was a home fit for a king! This beautiful home offers a savvy owner the opportunity to live in an over the top owners unit while enjoying supplemental income from three separate apartments. Keep the house configured as it is or reconfigure to make a larger owners unit, or better yet return it to a single-family home. Currently this home has over 13 bedrooms and 7.5 Bathrooms. 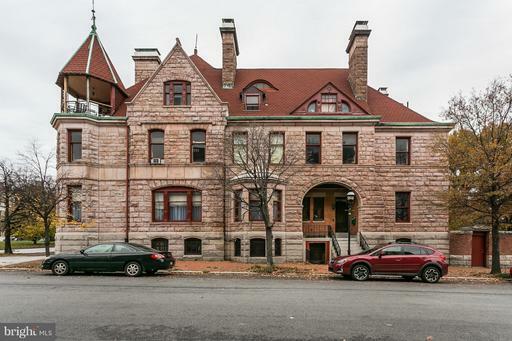 Located on the corner of Baltimores Parisian style boulevard, Eutaw Place and Laurens St, the home sits grandly on the corner while backing up to Arnold Sumpter Park. Sumpter Park is a large public park with ample space for a Saturday Soccer game, time on the playground, a spot to walk the dogs or enjoy time on the playground. Designed by architect Thomas C. Kennedy for the original owner who was in the lumber business, each room showcases a distinct species of wood. Each formal room has a unique mantel, detailed parquet floors, wood wainscoting, stained glass, built-ins and much more. The backyard features a large private garden hidden behind beautiful brick wall. This is just another crown jewel of this property. This is a unique oasis in nestled in the city. This spacial and unique home has not been on the market since 1977. Currently zoned for 4 apartments. This is a strictly "AS- IS" sale. Two of the four apartments are currently occupied. 48 Hour Notice required for all showings. Restricted showing times. Owner financing entertained. Fully rented this home nets over $85k in income annually. Seller requests a financial statement from all prospective buyers in advance of confirming all showings. SHOWINGS ARE RESTRICTED TO M-F ONLY 10AM TO 4PM. Prime River Hill Location! Blue ribbon schools, shopping, restaurants and The Columbia Gym ~ all right around the corner. With a bright, open concept floor plan, this home is ideal for entertaining and everyday living. The main level has a formal dining room, beautiful gourmet kitchen, family room with custom built-ins, a full bathroom, and two offices. The updated kitchen has granite countertops, stainless steel appliances, an island and a breakfast bar. The upper level has 4 bedrooms, 2 full bathrooms, a dreamy oversized laundry room, and loads of closet space. The finished lower level offers a 5th bedroom, full bathroom with heated floors, a large second family room with a slider leading to a private backyard and plenty of storage space. You will love relaxing on your spacious private deck overlooking open space. 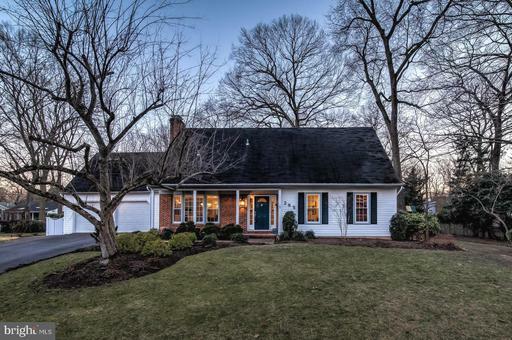 This home is updated and well-appointed throughout. This house is everything you have been hoping for in a home! NEW FAMILY ROOM/SUNROOM RENOVATION BRINGS AN OPEN AIRY FEELING TO THIS LIGHT FILLED HOME! Tax Records are incorrect, Actual Square footage is OVER 3900 square feet above grade and another 1400 Sq ft. of finished space in the lower level! 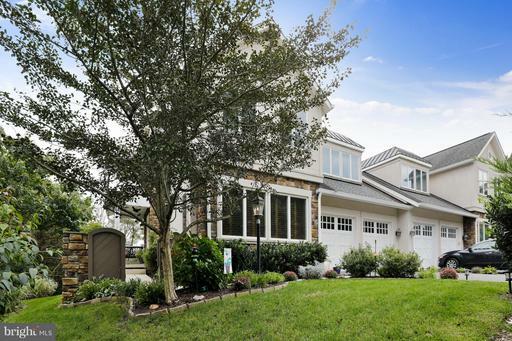 Stunning 4 bedroom, 4 1/2 bath + office, loft, sunroom solar panels, all located on a corner lot. Full front porch facing open green space. Finished basement with private bath 5th bedroom/den. Custom kitchen opens to spacious family room w/double sided fireplace sunroom. Owners Suite plus 3 additional bedrooms baths on upper 2 levels. Gorgeous hardwoods throughout, tons of natural light. Enjoy all the amenities that this amazing community has to offer while being just a short distance from major commuter routes, dining and shopping. Come and tour the best value in Maple Lawn. Perfectly situated on 3 rolling acres, this 5 bedroom, 5 full bathroom, 2 half bathroom home is renovated from top to bottom. On the main level you will find an oversized au pair/in-law suite with its own private entrance. The bright gourmet kitchen boasts a sun-drenched breakfast room overlooking an expansive view. The family, living dining rooms are beautifully appointed with hardwood floors, updated lighting moldings and fresh paint. Fall in love with the generous mudroom with ample storage for families of any size. The upper level has 4 bedrooms and 3 full bathrooms with hardwood flooring. The master suite has 2 walk-in closets and a fully remodeled bathroom. The lower level has an additional full half bathroom, as well as a second family room, gym/craft room, and office. Enjoy the tranquil exterior from the luxurious screened-in porch or flagstone patio, where you can watch the kids or dogs play safely inside the large fenced yard. Drive an electric car? No problem! The side-entry garage is already equipped with a charger. And the garage door is oversized too! Walk in to this luxurious home and you will never want to leave! 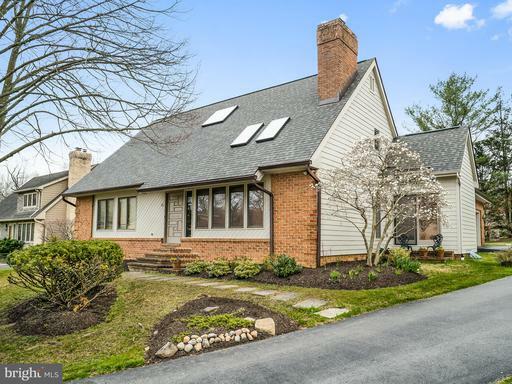 Open Sunday, April 14th from 1-3pm. 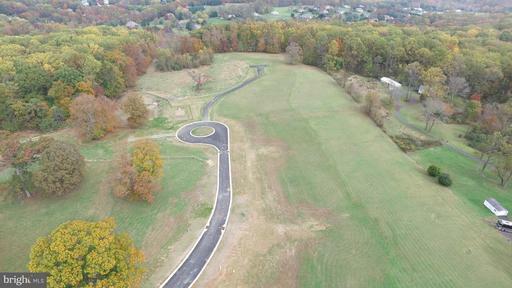 Welcome to Alisons Ridge -7 Large Estate Size Homesites to choose from, with 6 models offered from 3350 sq ft to 4340 sq ft, or build from your own plans.Conveniently located in the Heart of Fallston-- Home shown is to be built - Call today to get started with your new home build! Welcome to Hahns Meadow -15 Large Estate Size Homesites to choose from, with 6 models offered from 3350 sq ft to 4340 sq ft, or build from your own plans.Conveniently located in Kingsville off Chapman Road--Prices begin in the low $700s. Home shown is to be built - Call today to get started with your new home build! Meticulously maintained EOG Patio Home in the gated community of Rockland Ridge. 1st floor master bedroom and renovated bath. Upper level has a 2nd master and 2 additional bedrooms and 2 baths. Kitchen/ breakfast room/family room combo. Separate LR and DR. Finished LL with full bath. 2 car garage. Rear Deck plus LL patio space. Considered one of the premier locations in Rockland Ridge/Sorrento. 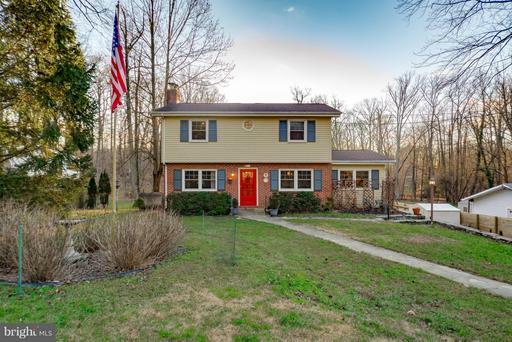 Located just a few minutes to I-83 and 695. 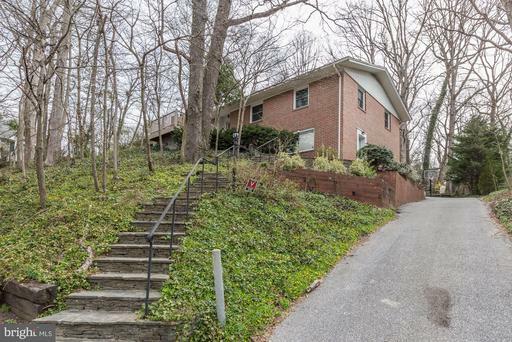 Perfectly located for easy drive to Downtown, Hunt Valley, Towson, shopping, fine dining. 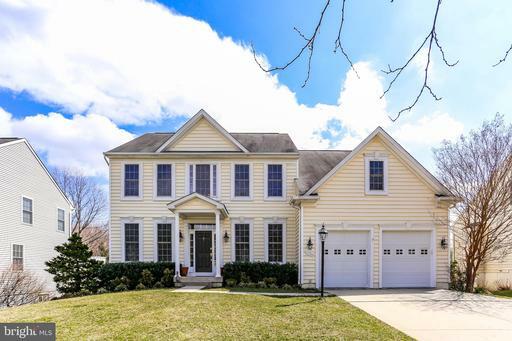 Rarely Available on the MLS- Fair Oaks on the Magothy Community- This 5 bedroom, 3 full bath Cape Cod has 3,652 sq ft of finished space. The community is rich with amenities: WATER ACCESS, pier/dock, pool, boat ramp, playground, basketball/volleyball courts, and more!! Walk in the front door to immaculate hardwood floors and fresh paint throughout. The large rear addition/great room offers vaulted ceilings, a gas fireplace, and wet bar. Main level has a formal dining room with wood burning fireplace, spacious office/den PLUS a guest bedroom with full bath. The kitchen has Viking appliances, granite counters, pantry, and eat-in kitchen.The upper level has four spacious bedrooms. The master suite has a walk-in closet with NEW master bath, custom tile and double vanity. The flat yard with patio can be accessed through the great room or sunroom off of the kitchen. The yard is perfect for cookouts and playtime. Spring is around the corner. Do not miss this opportunity to enjoy ALL the summer fun this community has to offer! NEW PRICE! 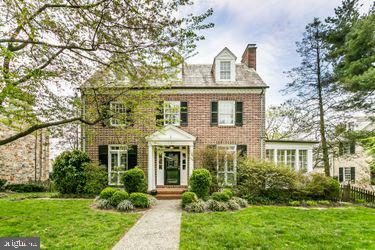 Rarely Available Williamsburg Woodley Park End Unit in the Westside District of Maple Lawn. Front loading garage and driveway, main level entrance, open floor plan with extra windows and tons of natural light. Gorgeous upgrades through-out! Gleaming hardwood floors, 4 large bedrooms, 3 1/2 baths with a finished walk-out recreation room and additional den. Picnic pavilion, tennis courts and tot lot just down the street and you cant get much closer to all the wonderful shopping and restaurants that make Maple Lawn Howard Countys place to be! Come enjoy all the amazing amenities this highly sought after community has to offer. Bring your imagination to this home! This is not a distressed sale, but the homeowner will not make any repairs. 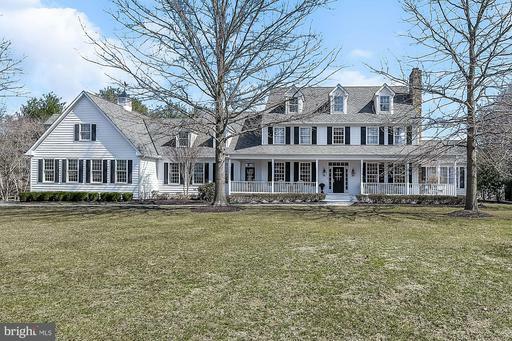 There is so much potential in this beautiful estate home in Glenelg! Dont miss this opportunity! Rarely available 3 bedroom 2.5 bath luxury condo in The Towers at Harbor Court. 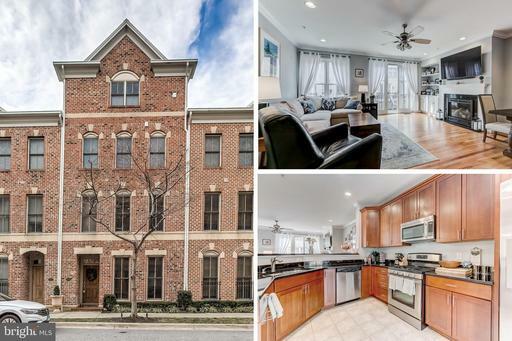 Very desirable open floorpan with over 2300 sq ft of luxury living space and incomparable views of The Inner Harbor, city skyline and Federal Hill. 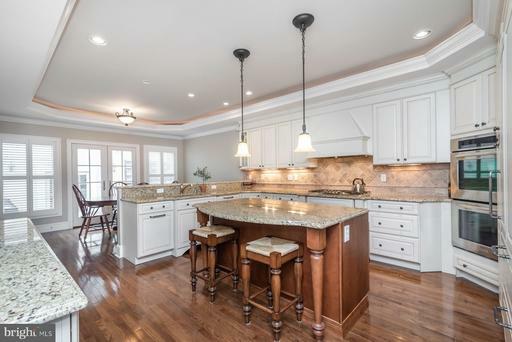 Numerous upgrades including new kitchen and baths, hardwood flooring, granite countertops, and extensive millwork. And did we mention the views ? ~ 2 secure deeded parking space and a storage space convey. Residence 2202 and 2203 are also available for sale. Buy one, two, or all three and have complete privacy on the floor. 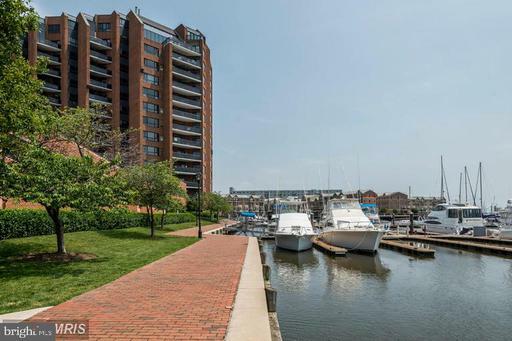 The Towers at Harbor Court is one of Baltimore~s most luxurious and amenity rich condominium developments. With 24/7 front desk coverage, uniformed doorman, porters, security and maintenance staff, secure parking and additional storage, The Towers at Harbor Court feels like a 365 day a year vacation. The Inner Harbor location also includes hotel services offered by the attached Royal Sonesta Hotel. These include concierge services, fitness center and spa discounts, room and meal discounts, and the convenience of on-site restaurants, coffee shop and guest accommodations. All of this without every having to leave the building If youre looking for ease of living in a quality amenity rich environment - youve found it at The towers at Harbor Court. OPEN HOUSE SATURDAY, MARCH 30TH, 12 - 2 PM! 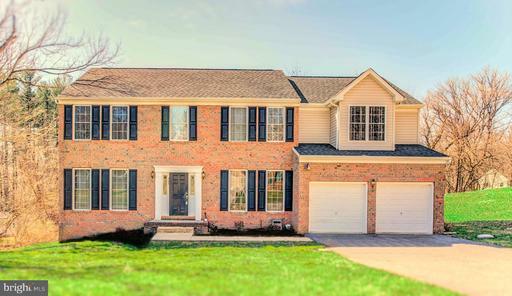 Wonderful opportunity to live close to everything Canton/Brewers Hill has to offer! 3,600+ SF OF LIVING SPACE, PRIVATE PATIO, GARAGE, ROOFTOP DECK! This custom-built, double-width, brick row home boasts a traditional aesthetic with meticulous mill-work, impressive attention to detail, and a well thought out floor plan; ideal for entertaining with built in speakers throughout or privacy relaxation among the separate living quarters. Highlights of the main floor include a large exposed-brick living room and a stunning gourmet kitchen with custom cabinetry and tile work, granite countertops, built-in Sub-Zero refrigerator/freezer, double ovens, double built-in dishwashers, wine cellar, eat-in island and breakfast bar, and an additional breakfast room space with French doors that invite you out to a private hardscaped bluestone terrace featuring a fieldstone seating area and with built-in grill; absolutely perfect for summer happy hours or snowy winter barbeques around the outdoor fireplace. Beyond the patio is the detached garage with a 15 ft. lofted ceiling ideal for a car lift or additional storage. 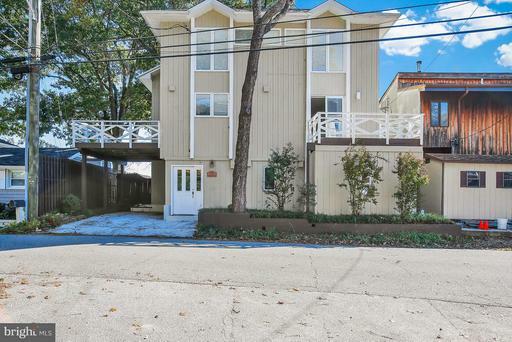 The garage is simply an added bonus as parking is abundant on this quiet tree-lined street. 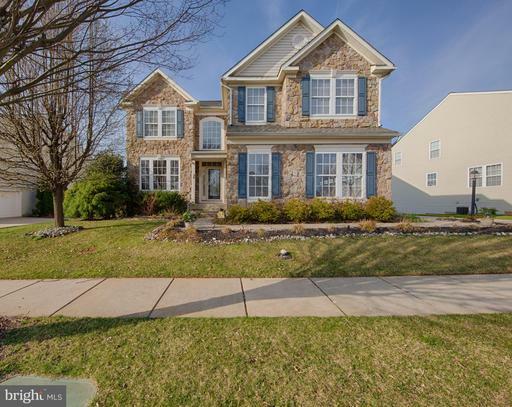 As if that isnt enough, this remarkable home also offers 4 bedrooms, all with en suite baths; TWO master bedrooms, with oversized dual-vanity bathrooms extending the full width of the home, and a convertible basement bonus room/guestroom with a must-see wet bath. Most notably though, is the 3rd floor Owners Retreat encompassing the entire floor and featuring an expansive sunny sitting room with built-in kitchenette; a dream for morning coffee or a night-cap! The coffered ceiling rivals the impressive custom walk-in closet as the highlight of this master bedroom, as the custom bathroom suite exudes relaxation with a jetted tub, mounted 37 in. TV, 8 ft. shower-head walk-in rain shower, in addition to the granite double vanity. Up just one more flight, the 4th floor roof deck encompassing the length of the house showcasing 360 degree views of Baltimores iconic gems: water views of the harbor, city skyline, Ft. McHenry, and Natty Boh Tower. 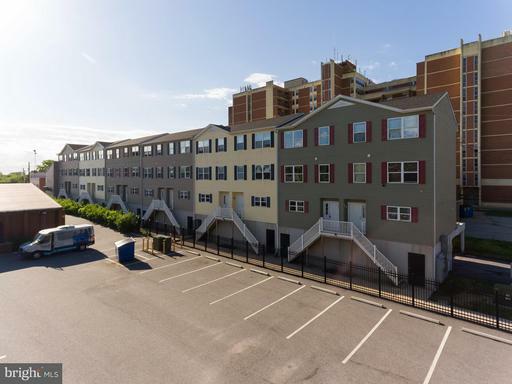 Once again street side, youll find Canton Crossing Shopping Center, Merritt Club rooftop pool, Canton Dog Park, and the picturesque Canton Waterfront Park and Promenade all just an incredible 2 blocks away and access to I-95/895 beyond convenient. This is the epitome of "the best of both worlds:" the space and quality of a sophisticated house and the convenience and accessibility of city living. This home is simply not to be missed. One of a kind luxury condominium in Silo Point !! Soaring 16-foot ceilings the highest in the building, gourmet kitchen, HUGE terrace with breathtaking water views and beautiful hardwoods throughout. 2 Bed / 2.5 Bath and incredible concrete details. 2 secured parking spaces and a separate storage space !! 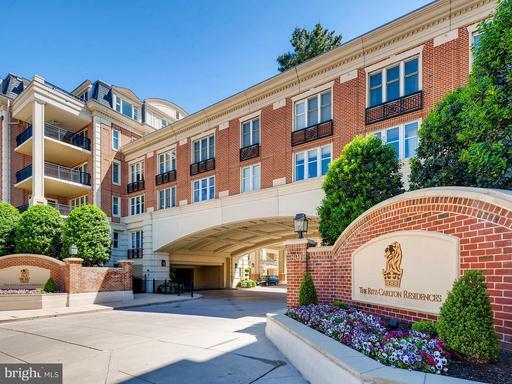 Full service building with incredible amenities and a perfect Locust Point Location. 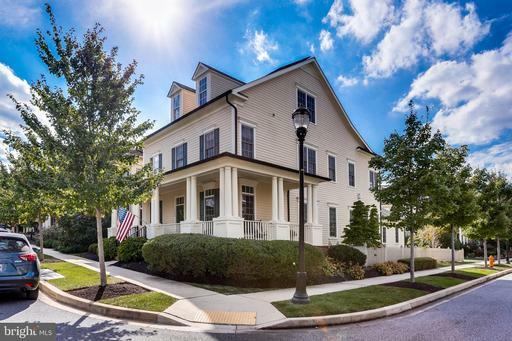 One of Olde Severna Parks first homes, with 2,900 finished SF full of historical charm modern comforts! Wide-plank fir pine hardwood floors. Gorgeous kitchen featuring stainless appliances quartz counters. Reclaimed wood, stone and other custom finishes. Large deck overlooking .43 acre secluded wooded lot backing to open space. Numerous recent updates including Copper Plumbing, Synthetic Shake Roofing, Solar Skylights, HVAC, Bathrooms and much more! Walk to Sullivan Cove Natural Area fabulous community waterfront amenities! Stunning 3 Bedroom 2.5 Bath - 4 Level Brick Townhome w/ 2 Car Garage In Cantons Only Waterfront Gated Community, The Moorings! Almost 2,900 sqft Lovingly Maintained w/ New Oak Hardwoods, Built-in Shelving A Gas Fireplace In The Living Room. Large Master Suite w/ Full Bath, Walk-in Closet Private Balcony. 4 Car Total Parking. Short Walk To Waterfront. Close To Shops Restaurants. Live in Canton Luxury! PRICE DROP Incredible drop in price for this Condo.Amazing view of the downtown city skyline and water. Breathtaking sunsets from everywhere. This 2 bedroom Penthouse with Den which could be used as a 3rd bedroom, has fantastic space. Powder room on 1st floor and updated kitchen with laminate cabinets and granite. Amazing storage in this galley kitchen. Hardwood floors throughout and beautiful staircase leading to the second floor with Master Bedroom and Guest Bedroom. Absolutely Amazing Waterfront Short Sale Opportunity Rarely Available. Gorgeous views of the Severn River from every room! Four bedrooms, 3 full baths. Master Bedroom has a huge walk-in closet with a built-in vanity , walk-in steam shower with multiple shower heads. Every bedroom has their own deck or walk-out. Huge kitchen with double wall oven, stove-top cooking, Energy Star dishwasher and refrigerator. Eat-in kitchen with a breakfast bar and island. Easy boat ride to Annapolis/Eastport. Water views galore! Home is being Sold As Is - Sellers will do no repairs. Short sale is handled by very experienced Short sale listing agent and is being negotiated by a licensed Maryland Attorney. Final sales price is contingent upon 3rd party approval. This home has been redone from top to bottom. Heres a chance to have the house you always wanted in a great neighborhood, all of the amenities, and be the envy of your neighbors. 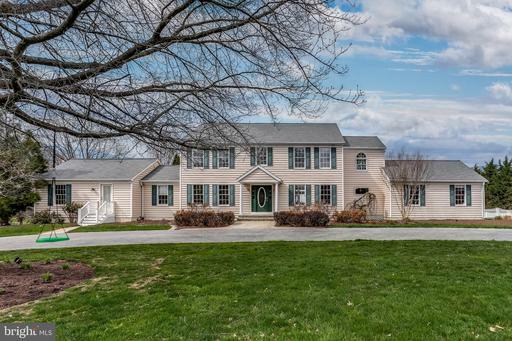 From hardwood floors throughout to crown molding to fresh paint, open spaces and a gourmet cooks dream kitchen - this home checks off all of your boxes. ----------------------------Split level home with 5 easy levels. On the main floor - bright spacious formal living room with chair, crown and picture frame molding. A pass-through fireplace leads to the study/entertainment room with room for a desk, entertainment center, guest lounging, built in shelving and much much more. This room is rounded out with a gorgeous private marble half bathroom. Directly behind the living room is the kitchen and dining room conveniently set up as one room. The dining room is the hub that connects the living room, entertaining area, and the fabulously appointed kitchen. 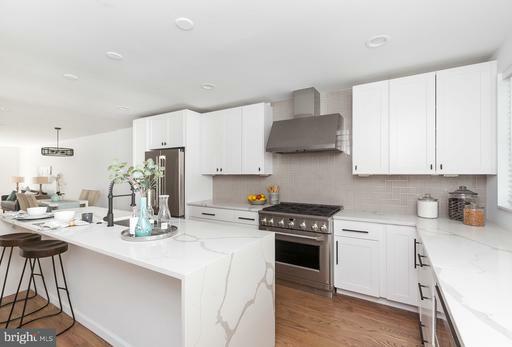 This kitchen has "high-end" whirlpool appliances including a smart refrigerator with dual freezer drawers, a double oven with a stove a clean look buttonless dishwasher and to top it all off, a wall oven and wall microwave giving you a total of 3 ovens for cooking for the whole family. In addition the 25 cabinets and matching beveled 48 sq ft of granite countertop complete this chefs dream. ------------------Just four short steps down from the kitchen is the family room with sliding glass door to back deck and extra fireplace. 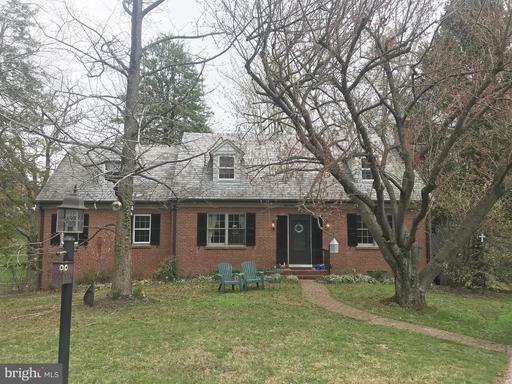 Appointed with hardwood floors, a stone fireplace and a continuation of the crown, chair rail, and picture frame molding that make this home a masterpiece. ------------------Stepping outside youll be greeted by a maintenance free trex deck, white vinyl rails and a beautiful view of the forest. Your back deck and back yard are as peaceful and tranquil as can be. ----------------------Leaving the main level and heading upstairs you have access to an upper-level washer and dryer for convenience. 4 spacious bedrooms and two full bathrooms give you all of the room you require. Each secondary bedroom has plenty of natural light and tons of closet space. The hall bathroom has matching cabinets, flooring and tile for a polished professional look. ------------------Entering the master bedroom you are greeted by a large sitting room that can be used for anything from a video entertainment area to a private study or reading room. Up four more stairs is the main room of the true master suite. Youve never seen a more spacious master suite! The 57x22 sq.ft can hold the largest bedroom set and entertainment package you can get. The five windows on the front and the back of the house allow for refreshing cross ventilation breeze. As you would expect the master bathroom is not going to disappoint. A raised dual vanity countertop with matching walk-in seamless shower are just the beginning. The claw foot soaking tub with shower attachment and overhead skylight view will make you never want to leave. -------------------------As an added bonus off of the master suite, two extra large bonus rooms. These can be used for a nursery, work out room, the most awesome closet ever, a private office, or whatever your heart desires. -------------------Going down past the family room to the basement is a generous sized recreation room for movies, pool table, arcade or even all three! Behind the recreation room is another bedroom complete with its own windows, closet and a second master bathroom. ---------------------There are so many things to love about this house: the layout, the neighborhood, the size, open spaces, the special touches, the entertaining possibilities, and the convenience. Youve got to come to see this one soon and make it your own. Be sure to check out the custom 3-D tour link for the full effect, then call us for a showing! Brand New Renovation in the heart of Canton by Chance Development! 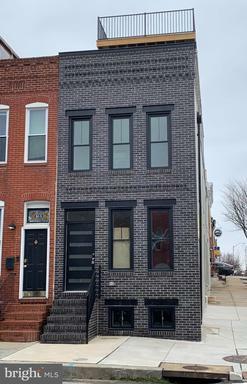 This spacious 3 story row home has 4 bed/3 baths, off-street parking a roof deck! Modern style with exquisite finishes-sand in place hardwood floors throughout, marble and ceramic spa-like baths, custom metal railings, designer light fixtures. Gourmet kitchen has high-end appliances with 36" GE Mongram range, calacatta quartz countertops and 10 ft waterfall island. 2-zone HVAC on demand continuous flow hot water heaters make this house super energy efficient! Sample photos of builders work. 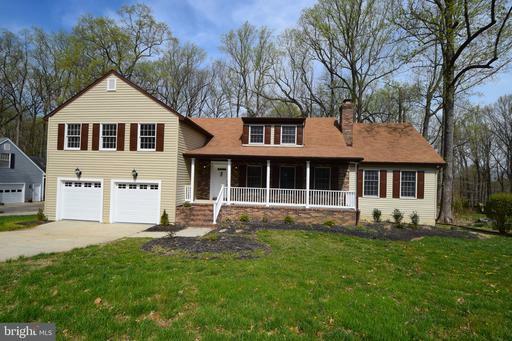 Remarkable 5 Bedroom home in rarely available Parkside of Perry Hall. 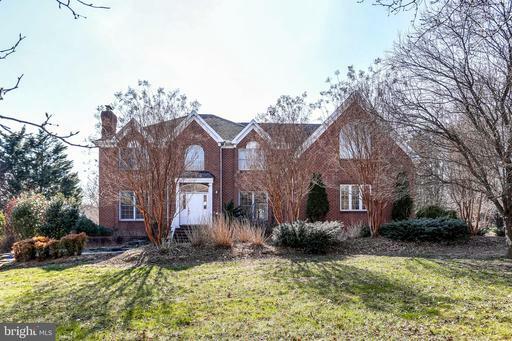 Enter on the main level with a formal dining, living, and a large great room. Main level In-Law Suite, expanded eat-in chef kitchen, and soo much more. Two staircases lead to a large master bedroom with 3 more Large bedrooms all with new carpet. Lower lever basement with new carpet is a large open space great for watching sports or entertaining with a Theater/ Game room wired with surround-sound that has access to the lower level full bathroom and walks out to the great backyard. Private back yard surrounded by well maintained trees including a garden and fruit trees that backs to preservation space. Dont miss Out, This will Go Fast! 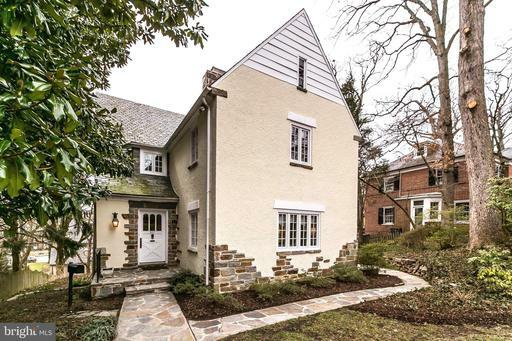 This circa 1929 Tudor-style home boasts 4/5 generous bedrooms, 3.5 baths and over 3200 square feet of living space. Pride of home ownership shows everywhere. Its located within 3 blocks to the Homeland lakes. The expansive living room features a stone fireplace, a beamed ceiling and custom built-ins. The 18 x 13 dining room leads to the side stone patio perfect for entertaining. Theres also a detached garage, wood replacement windows throughout, and a huge walk-up attic great for storage. The kitchen is outfitted with granite counter tops, stainless-steel appliances, and a breakfast area which opens to the cozy den. Theres a bonus room in the basement currently used as an exercise room. Very convenient to colleges, universities, and hospitals. Its a 10 minute walk to the unique shops, restaurants and the Senator Theater at Belvedere Square. The central air is on the second level with some vents on the main level. Large and open 2 bedroom / 2.5 bathroom condominium available at The Ritz Carlton Residences. 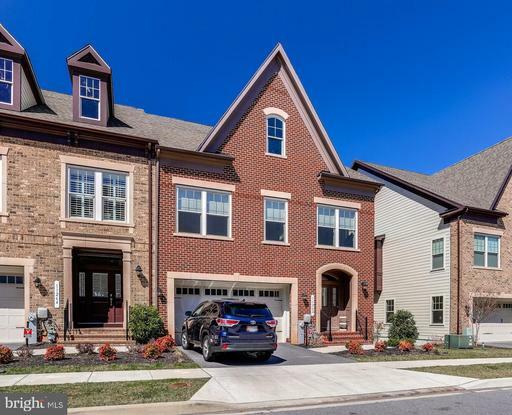 Over 2100 SqFt of living space meticulously maintained and with an abundance of luxury appointments including: Gourmet kitchen with Viking appliances and Siematic cabinetry, oversized Master Bathroom with large shower, separate tub and dual vanities. Large covered balcony and large windows allow in ample sunlight and beautiful views. 2 deeded parking spaces and abundant closet space make this unit one of a kind. Enjoy amenities that are second to non including: 24/7 concierge, indoor pool, 24/7 state of the art fitness center, lounge, billiards, movie theater, guest suites and more! 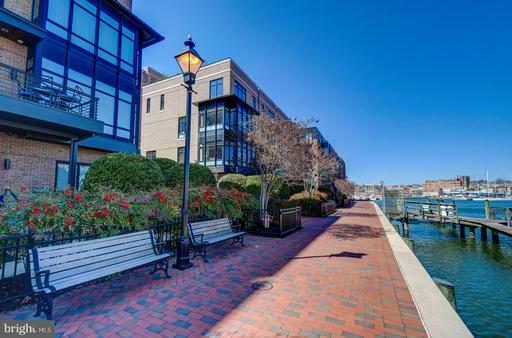 All in a convenient Inner Harbor location. You will fall in love as soon as you drive down the beatiful tree lined entrance to this beautiful community of Moores Orchard. 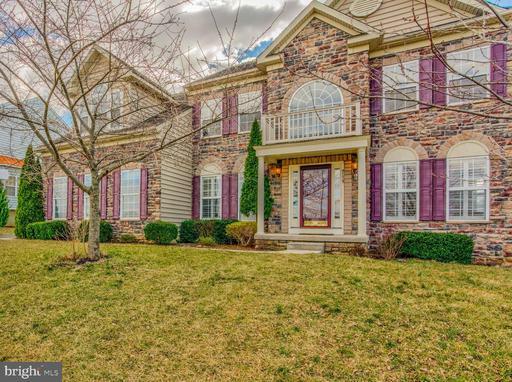 You will find everything you could ask for in this stunning Colonial w/over 4500sq ft located in a sunny cul-de-sac. Bright Open Floor Plan w/gleaming wood laminate flooring. Gourmet Kitchen w/Center Island Granite Ctrs. Family Room w/Stone Surround Fireplace. Sunroom/Morning Room Addition. 1st Floor Study. Enormous Mstr Bdr w/Super Bath. Lower Level Walk Out In-Law Suite. Home is Wired for Generator Hook Up cord included. Rear Deck and Covered Pavilion Like Patio overlooks Custom Built In Salt Water Pool for your own outdoor oasis. Fenced Yard. New Roof, New Water Heater, New Sump Pump, New Garage Door Custom Built Garage Shelving. So many more features. To see this beauty is to buy! Another gorgeous renovation from the good people at Chance Development. Home has been completely renovated from top to bottom, and then some! Huge open concept kitchen with high end appliances and beautiful granite counters and tops. Cathedral ceilings throughout the home. Second floor has several large bedrooms and a custom design bath. Step up to the brand new third floor, tailor-made to be an exquisite hosting space with balcony overlooking every square inch of the city, or an unforgettable master bedroom with a full wall of windows to greet you each AM. 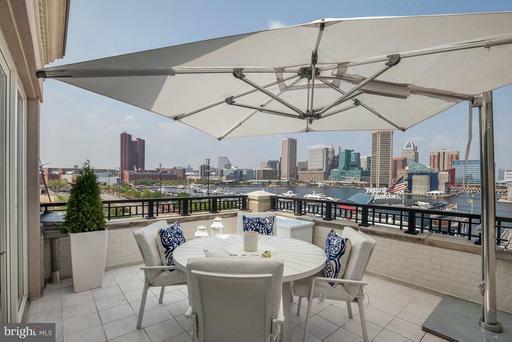 Move the gathering up the expansive rooftop deck with million-dollar views from the Key Bridge to the Inner Harbor. All steps from the square and waterfront. This one cant be missed! This Home is ready for you. This 4, possibly 5 Bedroom home sits on just over 1 acre. 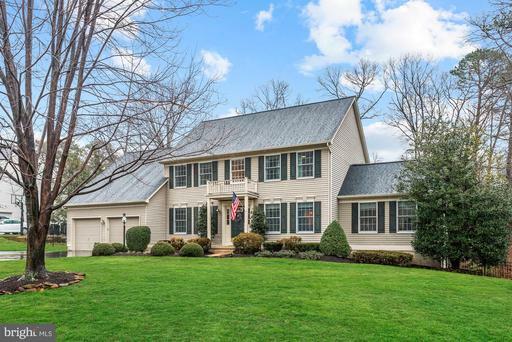 Drive down a private road to the move in ready colonial. The home offers entry into a large foyer which leads to a great size office and living room with great kept hardwood floors. Formal parties in the Dining room or casual in the informal dining area. The kitchen features granite and an eat in dining area that opens to the family room. 4 Large bedrooms upstairs with a possible 5th bedroom that currently serves as a sitting room for the Mater Bedroom. Master is extremely Large with a big master bathroom and walk in closet. New HVAC and very well maintained. Basement can be made into one large open space or several rooms as it is huge with a walk out. Endless possibilities. 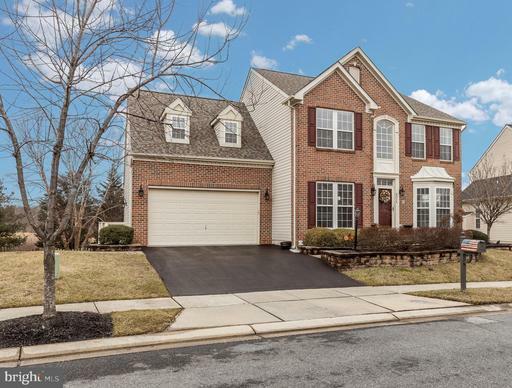 Large Colonial in highly sought after Glenside Farms! Delightful open concept 4BR/3/5BA with sunroom that fills the space with light. New roof and continually updated over the years by the original owners. Large bedrooms and a finished basement with a wet bar ready for hosting and a theater room! You couldnt ask for a more private backyard, with large pine trees and backing to farmland, not to mention the two tier deck! All sitting on a quiet cul de sac steps away from open space and playgrounds.